Mighty Plugs earplugs are mouldable and reusable, waterproof and noise-reducing. For sleeping, swimming, factory workers - in fact, many applications. Suitable for children and adults. But please note: these earplugs are not suitable for elderly people with fragile skin, or anyone with sensitive ears or a skin condition. Note also that these earplugs contain beeswax, lanolin and cotton so do not use if you are allergic to any of these ingredients. The manufacturers claim that each earplug can be reused between 35 and 60 times (let us know how you get on!) and that their own tests suggest a superior noise reduction level is achievable with a good fit. Directions: 1. Just prior to each use, knead or work ONE earplug between your fingers for a good 15 seconds to soften it, make it mouldable and to disperse the pure lanolin throughout the earplug. Pure lanolin oil is put into the ear plug to make it slightly tacky so that it stays in place. 2A. Then, using your index finger, push firmly & flatten the ear plug against your ear opening until a good seal is felt. If the ear plug does not seal immediately, just keep your finger pressed against it with slight pressure for a few more seconds and it will warm and seal. DO NOT push earplugs into the ear canal. 2B. Now take the other ear plug, prepare it and apply it in exactly the same way. 3. TO REMOVE: Simply pinch the ear plug between your thumb and index finger, then gently pull down and outward. 4. As with all silicone and wax earplugs, the very nature of the material means it is sticky. If it sticks to your ear, it will also stick to your hair. Do not be surprised if you find residue in your hair (especially people with long hair) from time to time. Remove it by rubbing the product gently between your fingers. Discard. Precautions: Do not cut, elongate or break apart this earplug. It is the correct size already. Do not heat prior to use, do not push into the ear canal. Do not wear below 1 metre depth. Not suitable for scuba-diving. Discard as soon as they become less adhesive or when they become dirty, whichever comes first. Cease use immediately if any irritation occurs. This product is not suitable for elderly people with fragile skin, or anyone with sensitive ears or a skin condition. As this product is adhesive, use caution when applying the earplugs if you have long hair. Clearly as you move during your sleep, as with any silicone or wax earplugs, you might find a little of the product in your hair in the morning. Use your common sense for removing any deposits which stick to your hair. If you have any doubts, don't buy the product. Disclaimer: The responsibility for the use of our ear plugs is solely that of the user. Snorestore disclaims any and all liability, loss or otherwise, which may occur through negligence in the use of this product; to include insertion, wearing and the removal of this product. 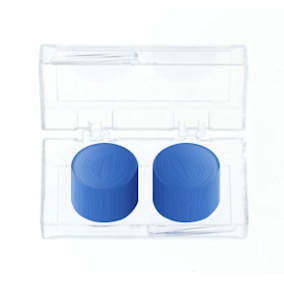 Customers are reminded to use discretion when wearing ear plugs, as the ear plugs will reduce outside sound significantly, especially in the case of important sirens or warnings. Being soft & mouldable, customers must exercise care and proceed cautiously when applying and removing Mighty Plugs, to prevent potential damage to the ear. If you go to bed with damp or wet hair, or if you tend to get sweaty during the night, then a) Mighty Plugs will not work as well and b) some of the blue colour may stain bedding - we have had one report of this.